I live in a condo community, sometimes called townhouses because each unit has its own entrance. There is a certain level of uniformity until Christmas when individual creativity is revealed through an amazing variety of wreaths. Here are just a few, with a holiday flag thrown in for good measure. Very cool!! Each one is so unique and individual!! Yes, it makes a nice collage, and it's a good representation of individuality. Very nice. I'm especially drawn to the ones that use blue. I love this! It's nice to see all the different ones in one convenient shot! Wonderful idea for a collage...and I do believe this does show the uniqueness of each individual. Nice collection Allison, great idea! 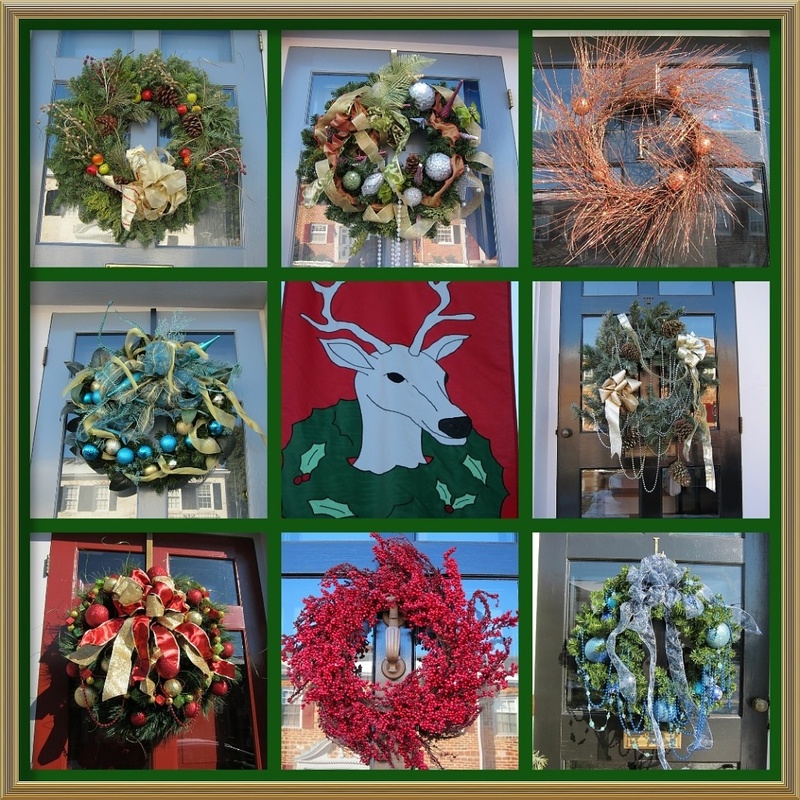 That is an interesting collage... love the variety.... beautiful wreaths. they're beautiful! and such individuality. Our wreath is one that my daughter made when she was in fourth or fifth grade from the plastic six-pack holders; she's 30 years old now. I have another one that the babysitter that I had when the oldest was four made for us (and I haven't had the heart to throw away yet, but I don't put it out anymore). nice collage, Allison! What a great collection! In your defense the flag does have a wreath on it! @lovemysailor02 And that's why I chose it! How wonderful collage. And wonderful wreaths. I like them all. What a fantastic collage, so many different styles.